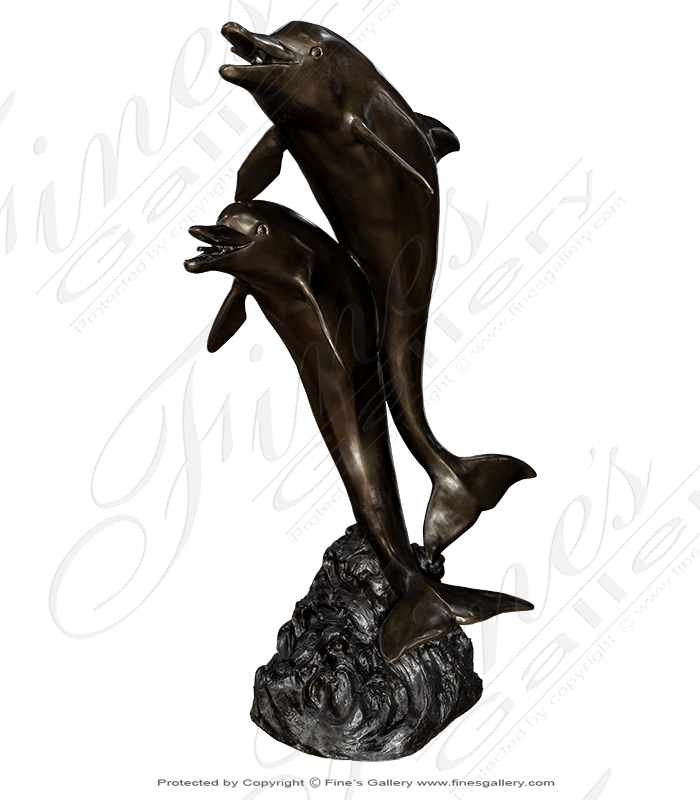 Enjoy forever this charming animal with his fantastic likeness in bronze! 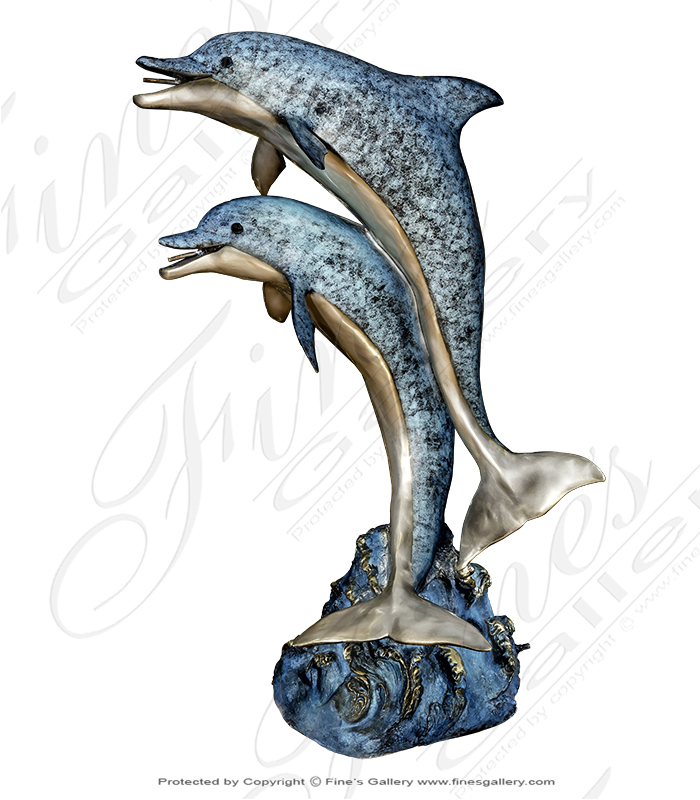 Carved with fine detail, he is amazingly true-to-life with all his lovable qualities. Water sprays endlessly from his smiling mouth. 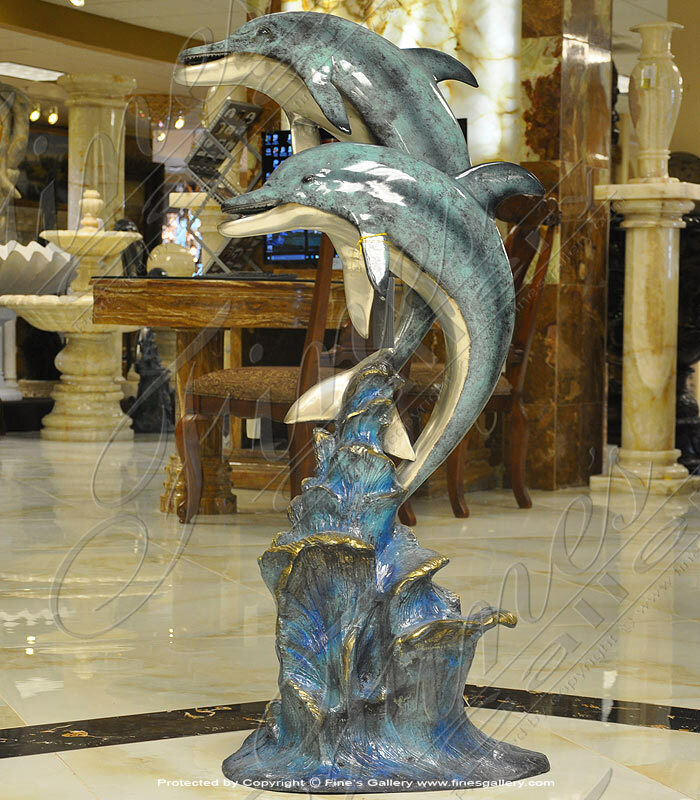 A relaxing and luxurious fountain. 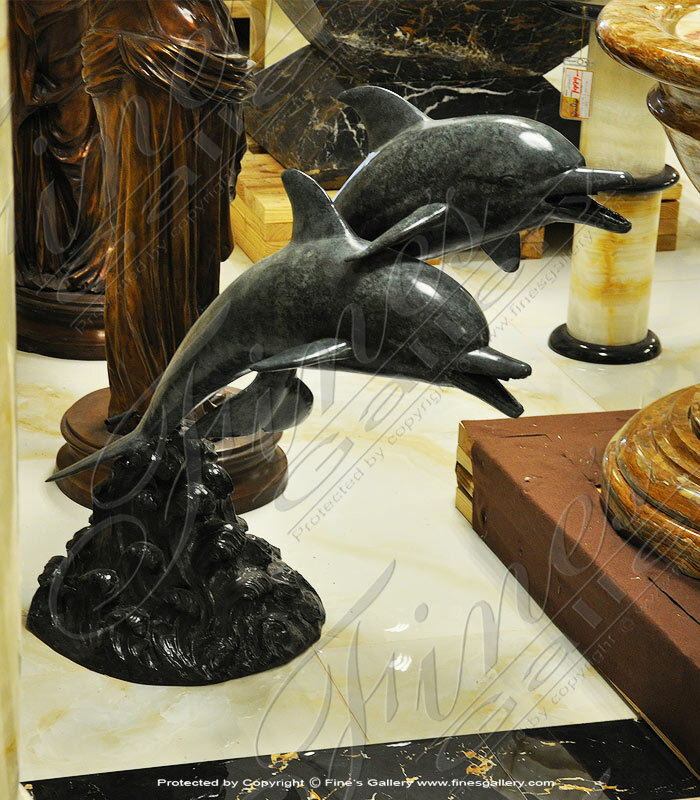 These charming dolphins will add a sense of play and wonder to a pool area. 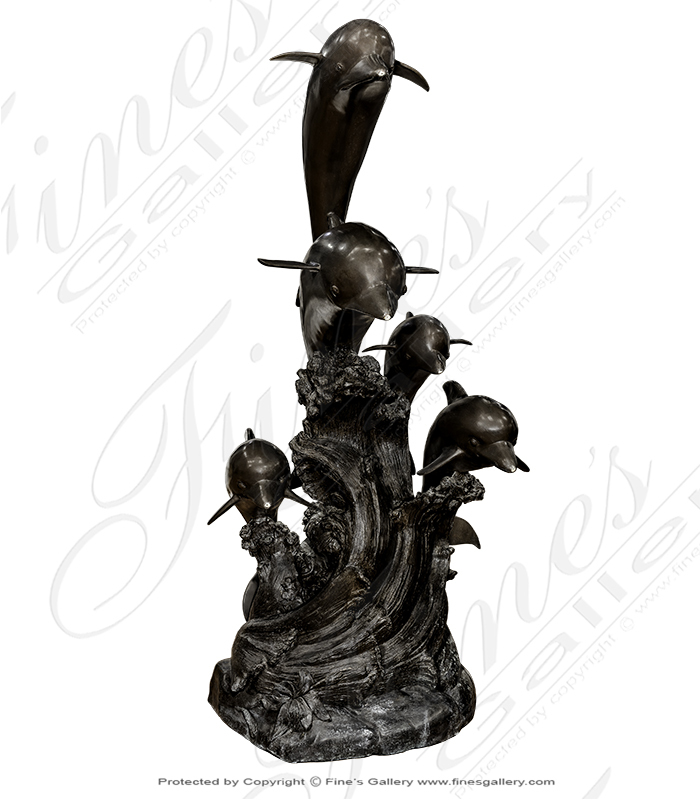 Sculpted with high artistic realism, they display the natural beauty of bronze. 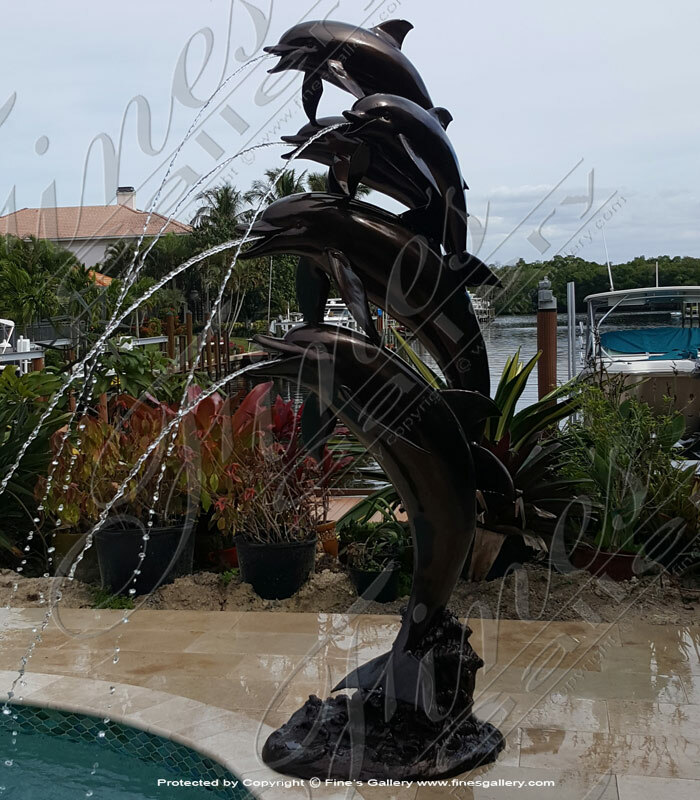 Refreshment sprays from their open mouths, creating relaxing waterfall melodies all day long. 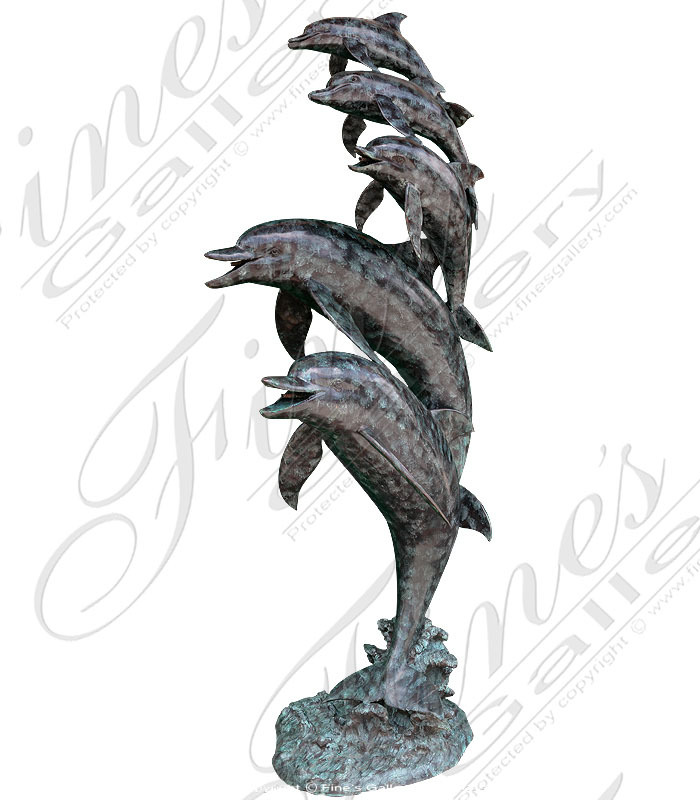 Bronze Dolphins Installation in Fort Myers, FL. 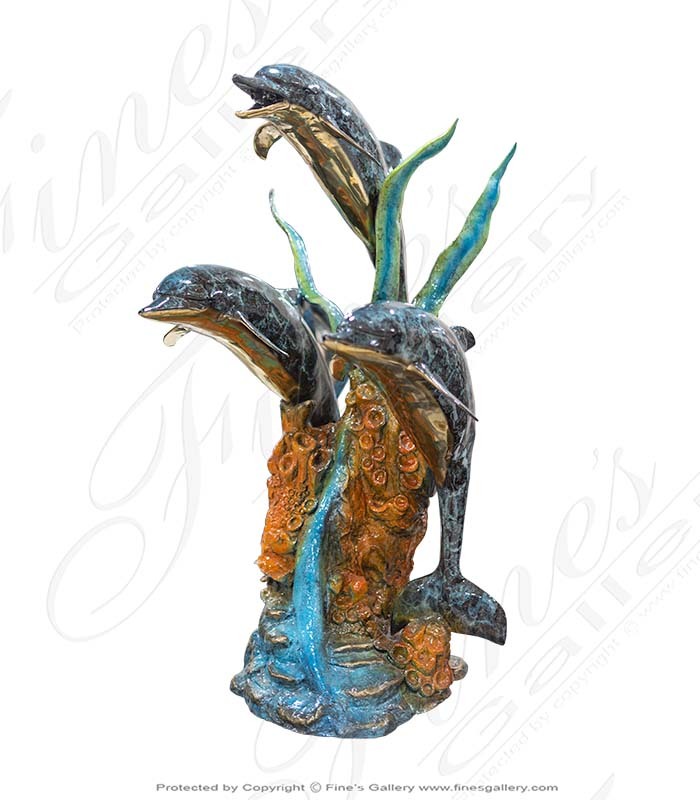 A single five and a half foot tall enamel finish bronze dolphin fountain spouts water. 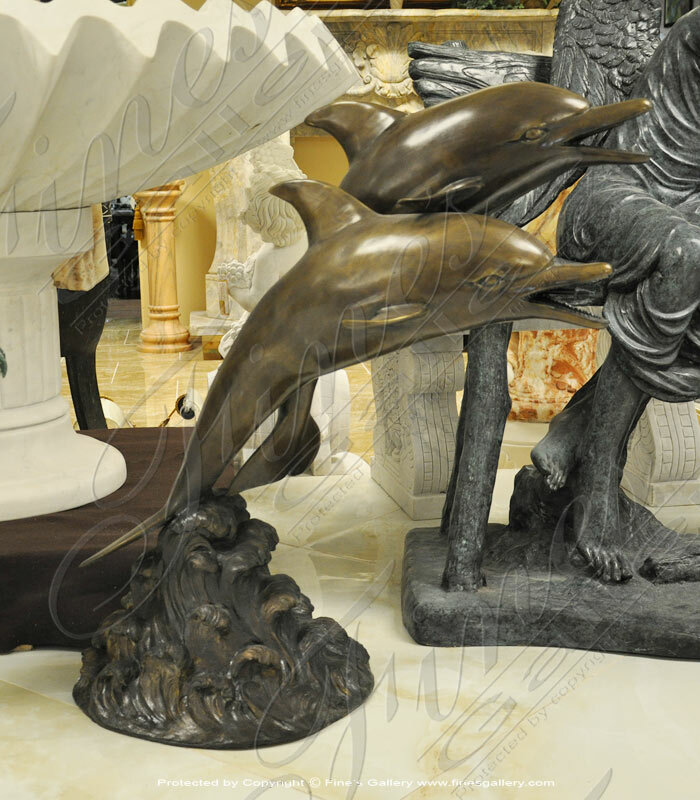 The pure bronze dolphin fountains are perfect for a swimming pool. 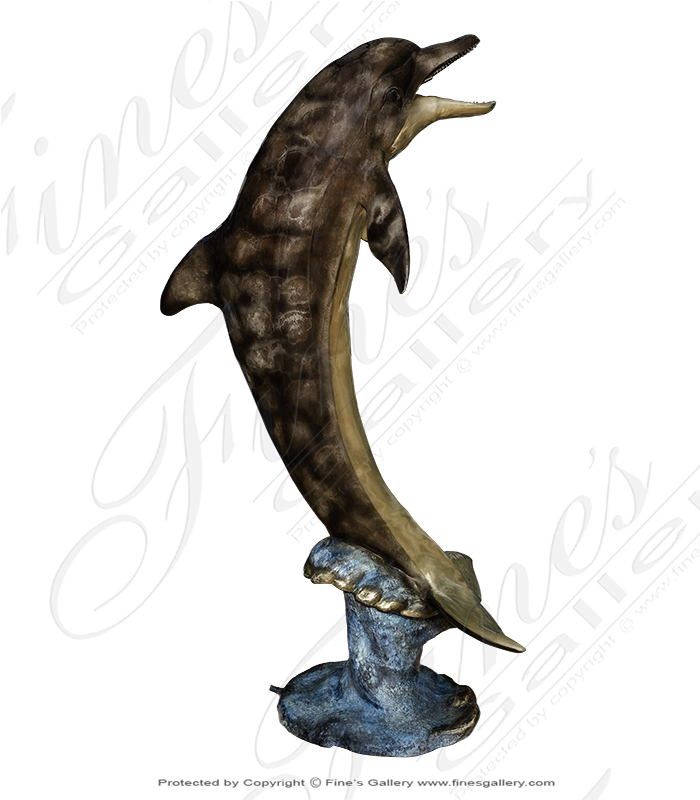 Hand sculpted through the lost wax process. 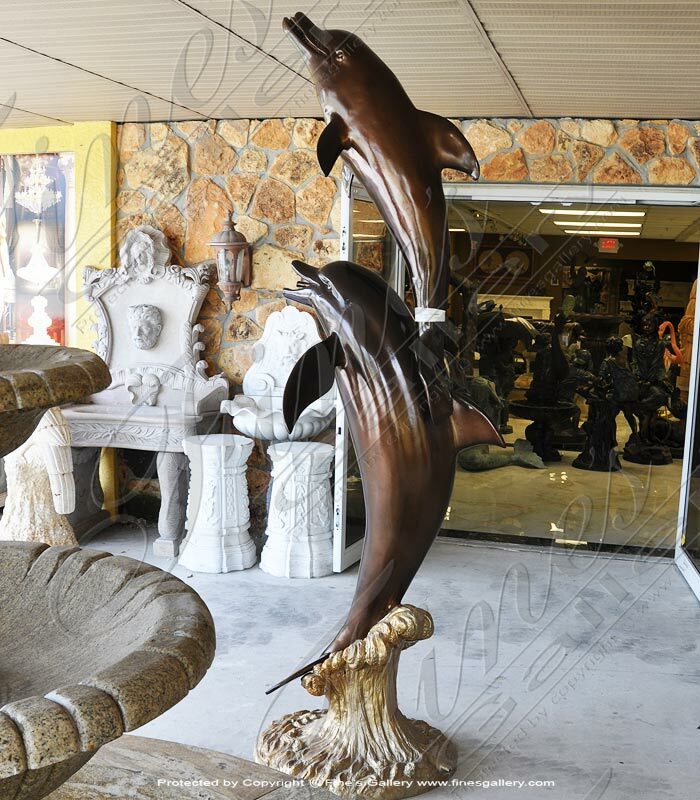 This bronze dolphin fountain's soft colors blend to the lush landscape and our bronze casting method ensures the very highest quality. 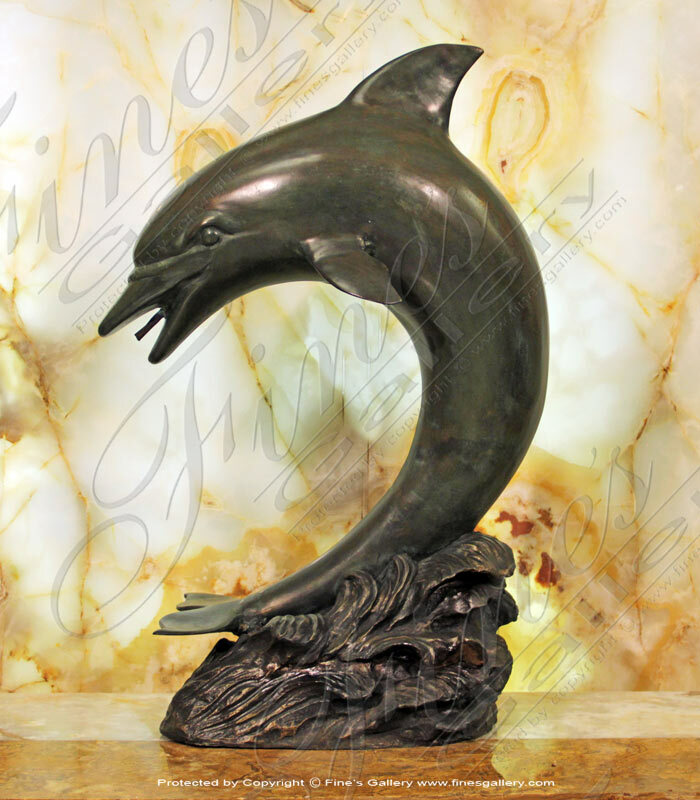 Comes in patina in classic bronze color. 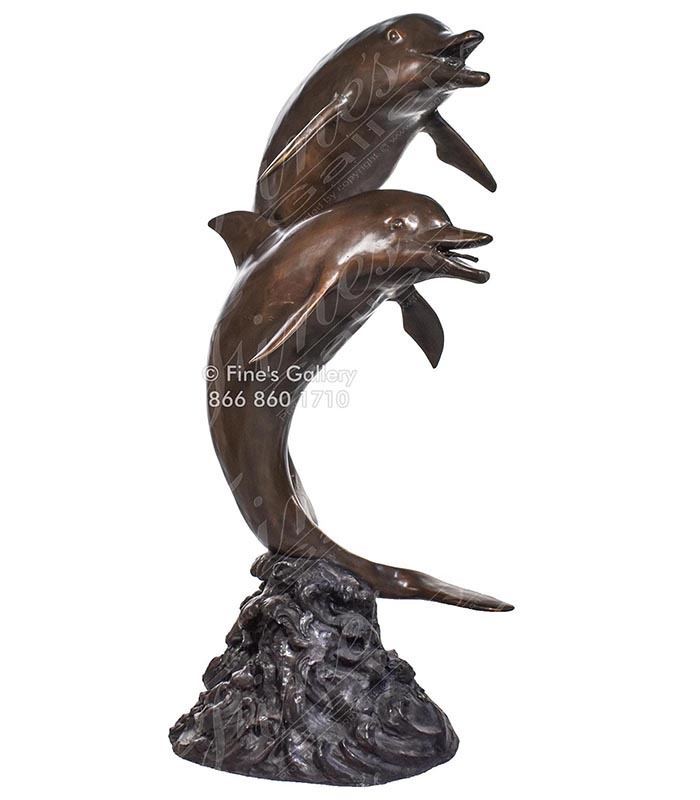 Such a beautiful Dancing Dolphins Bronze Fountain. 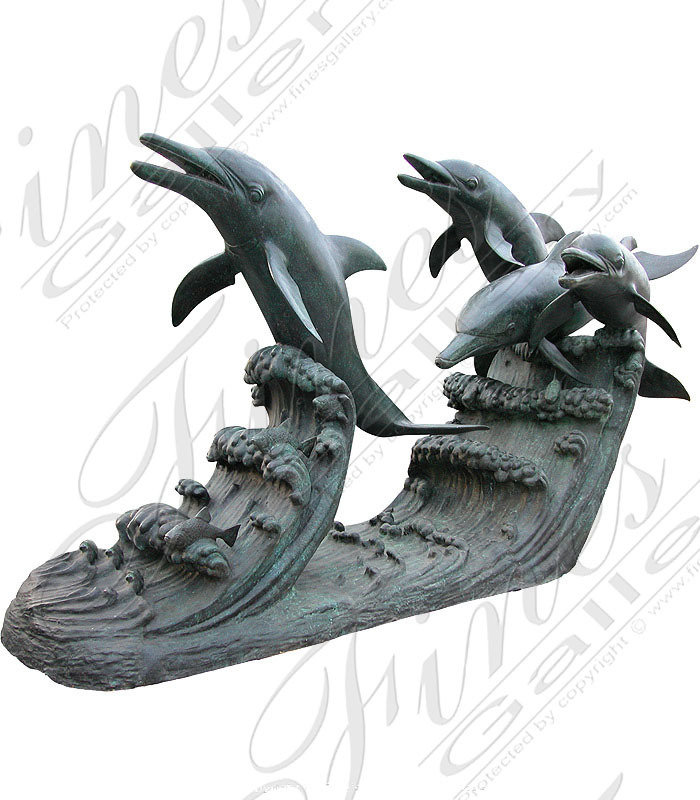 Three dolphins leap from a realistic wave base. 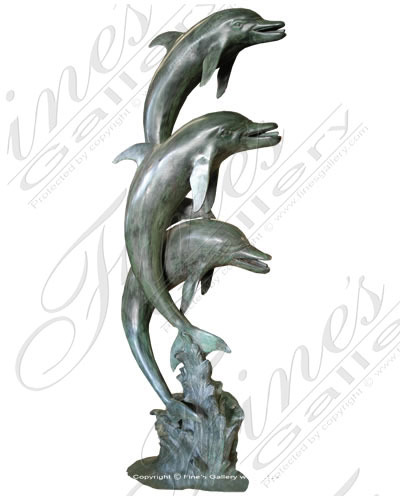 Cast in Patina Bronze using only the finest casting methods, this pod of dolphins makes a charming fountain. 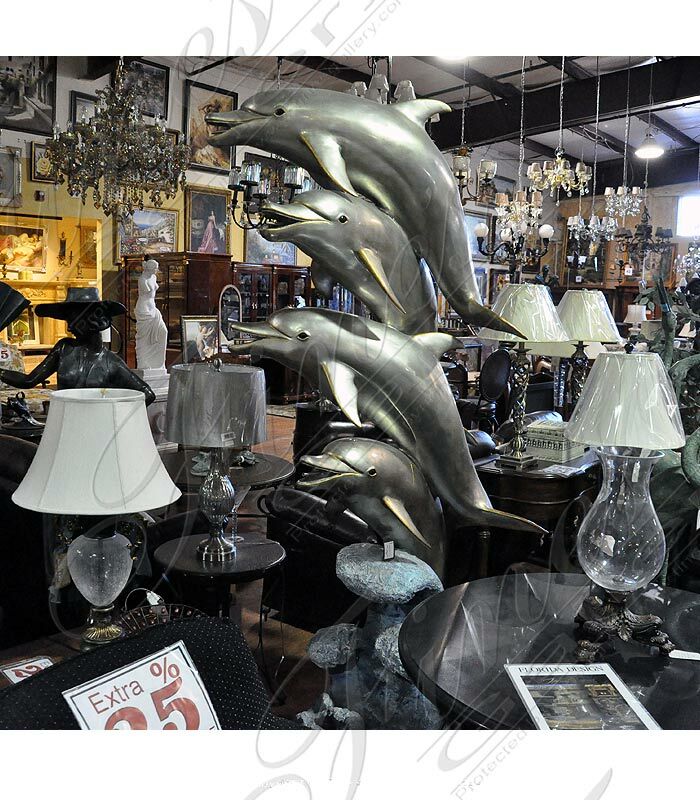 Ask about this Fine's Gallery piece online or by phone.